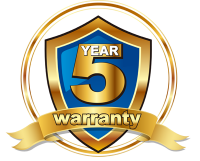 This product comes with a 5 Year Guarantee. The deepline fitting for brick or pre-fabricated chimney types is more than a practical consideration. It means that the fire bed stretches further back,extending the vista of flames. The Fascinating natural Variator of intense flame endlessly captivates your attention. Generating over 3KW of heat, the Vortex has the power to make a substantial improvement to your comfort.